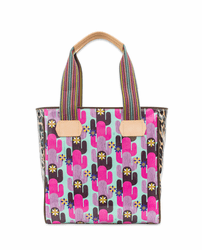 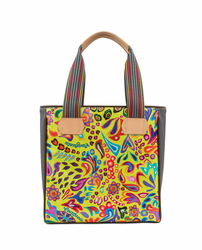 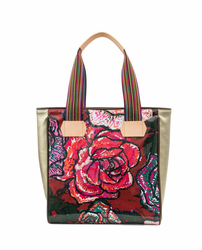 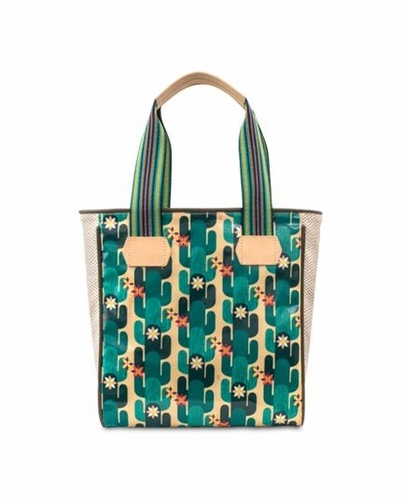 Consuela's Classic Tote in Spike print is contrasted with Thunderbird side panels to brighten up any day. 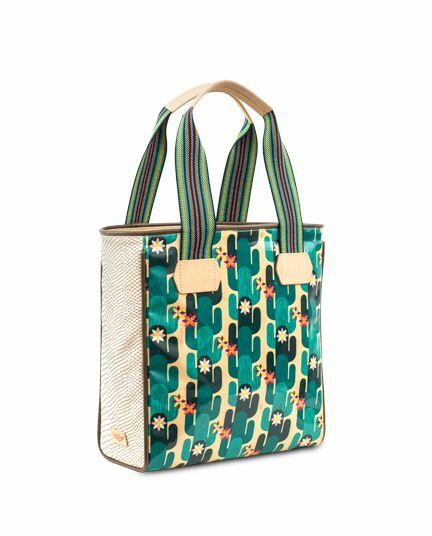 Topped with comfortable, multicolored striped webbing handles, this multi-functional classic is trimmed in natural leather and is designed to go with you anywhere. 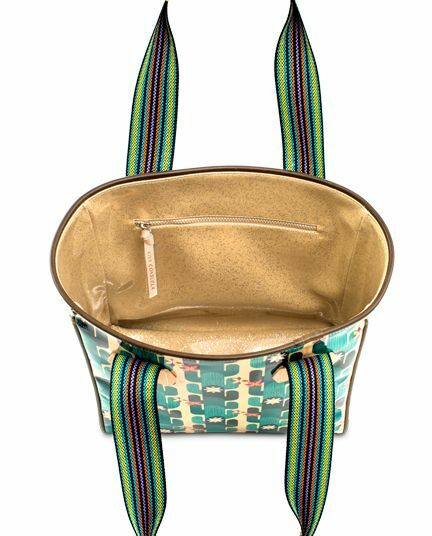 Lined in Consuela's Champagne Glitz, inside you�ll find a zippered pocket and a contrasting Sirena slide pocket�perfect to stash your cell phone and keys. All items in their Legacy Collection are made in our ConsuelaCloth�, known for being durable, vibrant, and easy to care for.